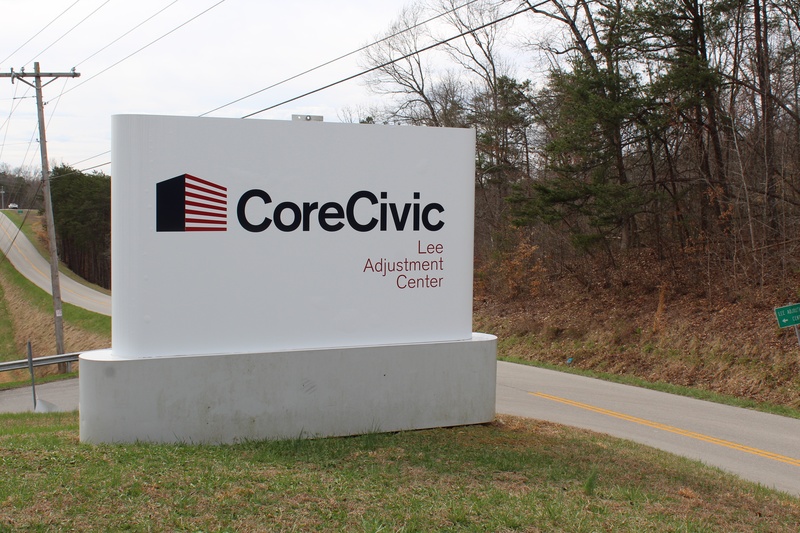 As CoreCivic begins managing the newly reopened Lee Adjustment Center in Beattyville, Kentucky, the company stands to deliver a range of public safety, social and economic opportunities to the town and state. For example, the Kentucky Department of Corrections will be able to give inmates increased access to high-quality reentry programs; Lee Adjustment Center offers vocational training, academic education, substance use disorder treatment and more. These programs are designed to help inmates successfully reenter their communities and stay out of prison after release. Then there is the economic impact on Beattyville, a town of about 1,200, due to a large employer bringing 200 new jobs to the area. Beattyville local and Correctional Officer Jessica Carter is eager to get to work. The new opportunity ended a two-year stretch of unemployment for her. While the duty of a correctional officer is new to Carter, the reactivation helps longtime Senior Correctional Officer Roger Roberts resume an 18-year career at Lee Adjustment Center. He previously worked at the facility until it closed in 2015 at the end of CoreCivic’s contract with Vermont to house inmates there. Both Carter and Roberts appreciate the broader benefits that the facility brings to Beattyville. “Most of the factories have closed over the past few years, which makes Lee Adjustment Center the community's biggest employer,” Roberts added. Leading the reactivation is veteran Warden Daniel Akers, a CoreCivic employee since 1994, who served as warden at the facility until its deactivation. At that time, he promised his employees and the greater community the facility would reopen as soon as possible. Though Lee Adjustment Center closed in 2015, CoreCivic stayed committed to maintaining the Beattyville facility. “Because it was so well-maintained and ready to resume operations immediately, it was the most logical choice for the state to use,” Akers said. Akers and his Human Resources staff have hired 200 people to work at Lee – 30 percent of whom were on staff before the facility’s 2015 closure – plus about 50 additional contractors. 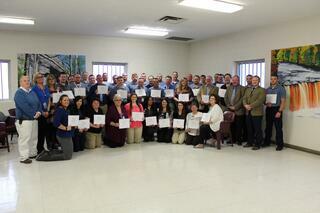 Some of the new hires work in security, while others are in Food Service or Health Services positions. By February, 190 employees had already been hired and were undergoing intensive training on policies, procedures, emergency preparedness and other important topics. Meanwhile, the first group of inmates arrived at the facility in mid-March. Groups of 50 are set to arrive each week until Lee Adjustment Center reaches full capacity. Lee Adjustment Center will also continue its partnerships with local chapters of the American Red Cross, the American Cancer Society, the Muscular Dystrophy Association and others. CoreCivic has owned Lee Adjustment Center since 1998.